Is Our Way of Life Sustainable? Can humans control their destiny? Is our species the focus of creation? Our religious and legal institutions are based on the presumption that the answers to these questions are yes. If we hope to ever again live in concert with Nature, a requirement for our eventual survival, we had better be sure! Chet Shupe is an engineer and researcher who has spent thirty years delving into these questions. In his groundbreaking book, Eden, Shupe provides answers that may be hard to face. But the gut reaction they produce tells many that he may very well be right. Sure to engender controversy, Eden provides vivid glimpses of another life entirely a sustainable way of life that allows humans to live together without sacrificing their spiritual freedom. A life in which living in the moment is as natural as breathing. This book leaves no sacred cow untouched, yet Shupe s arguments hit the nail dead-on, time after time. Even outraged skeptics struggle to counter his reasoning. Eden is an expose revealing the root causes of our intractable social, economic, and political problems. Eden is a call to action for those whose instincts have been telling them something is fundamentally wrong. Eden is a message of hope about the resilience of the human spirit and its innate capacity for genuine intimacy, trust, and freedom. Shupe's professional background is in Electronics Engineering. Suffering from a serious Attention Deficit Disorder and then, at mid life, having it corrected, combined with his background in control theory, fostered his interest in how the life of a species works. In addressing this concern he writes on such things as: How the brain is organized; our expulsion from Eden; the origin of good and evil; conceptual black holes; mankind's three primary myths; why humans trust their lives to religions, ideologies and science; the reference for order; unsustainable ways of life; and finally, a few surprisingly simple things we must realize if we are ever to return to a sustainable way of life. In essence, Shupe's conclusion is: We must flow with Nature, rather than try to defeat it in the belief we have a better way. We are, of course, defeating it, but that's our problem. We are expressions of Nature. Its defeat is our defeat. There will be 4 paperback giveaways at the end of this tour. August 16 - Interviewed at BK Walker Books Etc. Dark blood of the evil ten; drank by a son of the same brood. Possessed by the taint, he marches to different sections of the world, conquering and destroying everything in his path as a cloak of midnight pulls itself over all things. The great foretelling of LaStaudd the Wise, the age of the Rising Flame. Midnight's Cloak is the first part of a ten book epic fantasy series. The series takes place within the timeframe of a decade. Midnight's Cloak is world building Epic fantasy and contains maps an appendix and a glossary. As far as the type of fiction I write, i would say it's similar to Robert Jordan, David Farland and Terry Goodkind. Midnight's Cloak is 361 pages. There is a lot of charicter development early on in the story. Also there is romance and I write a lot of battle sequences. My map is rather small on the paperback so i always recommend a pdf ebook because you can zoom in on the map to see places. It is also cheaper and I earn a larger royalty for it. Midnight's Cloak is edited and proofread. Outskirts Press E-book 5 dollars amazon search inside the book available soon. Events come quick and fast as a death forces Jordan to realise that something weird is happening. With help from those around him he starts to understand that his dreams are showing him the future. 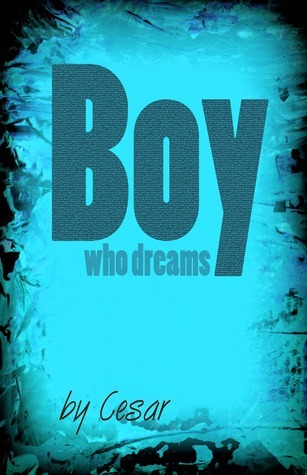 Then things start to spiral out of control as an unknown enemy haunts him in his dreams and in his real life. Giveaway ends August 13, 2012. Tour Now Closed - Thank You. Cesar will be giving away 50 ebooks during his tour - 5 ebooks at every stop. Chutes, Beer, & Bullets: Not Your Grandpa's War Story is a humor filled narrative that takes place during the peak of The War on Terror. Follow Jesse is this uncut and unscripted adventure as he leads you through United States Army Airborne School, Europe, and ultimately to Operation Enduring Freedom in Afghanistan. Chutes, Beer, & Bullets is assured to have you laughing, sighing, looking away, and possibly even shedding a tear as you connect with the real life characters within. No doubt you will be longing for more as you turn the final page. There will be a giveaway for 3 Signed Paperbacks at the end of the tour and a $25 Visa Gift Card to the host with the most comments. July 27 - Fun Facts Interview at BK Walker Books Etc. In the mid-21st century, the human race stopped aging. Those who know why aren’t talking, and the few who are brave enough to ask questions tend to disappear. To an elite few, The Change means long life and health, but to the ever-increasing masses, it means starvation, desperation, and violence. Four centuries after The Change, Grace Harper, a blacklisted P.I., sets off on a mission to find the man responsible for it all and solicit his help to undo The Change — if he’s still alive. To complicate matters, Grace’s employer is suspected of murdering his father, and when the police learn of their connection, they give her a choice — help them find the evidence they need to convict Matthew Stanton, or die. But if they discover Grace’s true mission, they won’t hesitate to kill her in order to preserve their shot at immortality. Project Moses is a high-tech bioterrorism thriller in the Grisham mode that has been well received on Good Reads, Library Thing and Kindle (4.7 stars based on 28 reviews as of May 31). It has romance, suspense and humor. Then, Lee’s comfortable life is shaken up when he is ordered to cover the unexplained deaths of a local judge and prosecutor. Intrigued by the connection, and the judge’s attractive niece, Sarah Armstrong, Lee begins to uncover a bioterrorism scandal whose perpetrators - including government officials and Silicon Valley titans - will kill to conceal.